If you are an environmentally conscious individual, you are probably on the lookout for ways to reduce your footprint. While things like driving less, taking public transport, etc. make a big difference, reducing waste is likely the biggest change you can make to help keep the planet a clean and safe place for future generations. One of the most significant ways you can reduce waste is to start composting. Composting is a pretty simple process. Basically, all you need to do is start separating biodegradable trash from normal trash, and placing the decomposable waste in a composting bin. You will want to get a good compost bin with a tight fitting lid, to help keep critters out and smells in. Backyard composting is possible in almost every home, but remember that having a bin will likely attract more bugs, raccoons, etc. to your property. If you’re wondering what you can put into your new backyard composting bin, the basic principle is that anything that is safe to consume is safe to compost. So, all types of food scraps, spoiled food, etc. can be thrown in your bin. Yard waste is also compostable, so stuff like grass clippings, tree branches, etc. is safe to compost. Keep in mind that while all food products are technically biodegradable, some things take a long time to degrade (such as bones, cheese, meet, oils, dairy, etc.). See a full list of what can and cannot be composted. While you can simply throw everything in a bin and wait, there are many things you can do to expedite the process. Composting with worms is highly recommended. Adding worms to your bin will greatly reduce the time it takes for waste to degrade, while improving the quality of the resulting compost. Turning the compost with a shovel or pitchfork is also recommended, to help get oxygen circulating throughout the material. 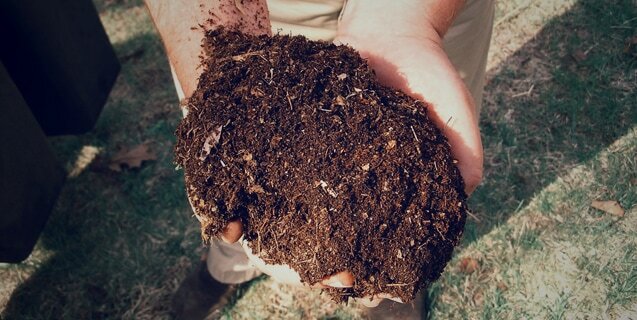 There is a lot more to learn about proper composting, but this article should be enough to get you started!